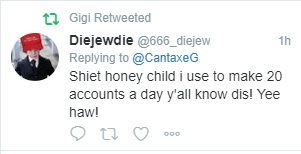 At Resisting Hate we have been watching (for some time) an account titled ‘DieJewDie’ on Twitter. 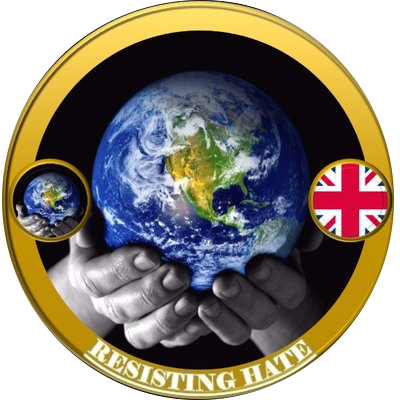 This account has gone through numerous incarnations posting more and more vile anti semitism and hate every day. It openly acknowledged earlier today it has been suspended four times already since the start of the day and regularly boasts about the number of accounts it has made. The account is both organised and systematic. It uploads numerous accounts at a time in bulk and then brings them into play as each account gets suspended. It currently has a list of 29 back up accounts sitting in wait. 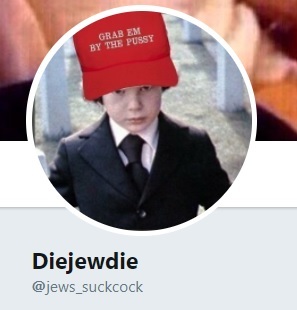 The account is the central figure for an informal online Neo Nazi collective who refer to their actions as ‘shitposting’ but who are involved in spreading some of the worst anti semitism we have seen on the internet. 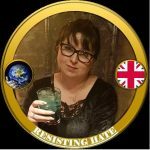 They regularly pay homage to Adolf Hitler and post deeply offensive comments and memes about the Holocaust, Jewish survivers of the Holocaust and Jewish people in general. The account also posts negative and racist comments targeting anybody of non white appearance. 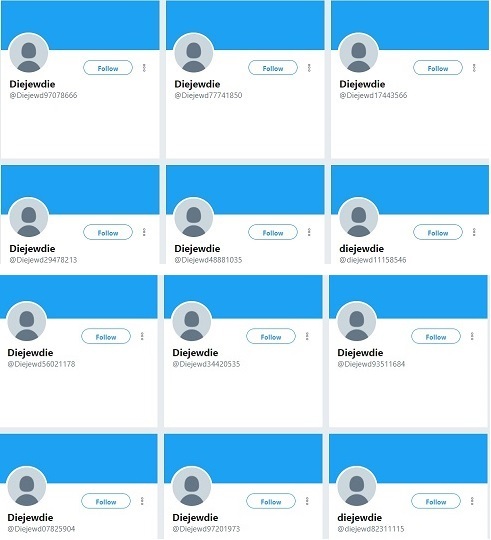 Twitter has banned the individual’s home IP address so it cannot make new accounts at home but Twitter have not banned the phrase ‘DieJewDie’ so new accounts are still being created daily. 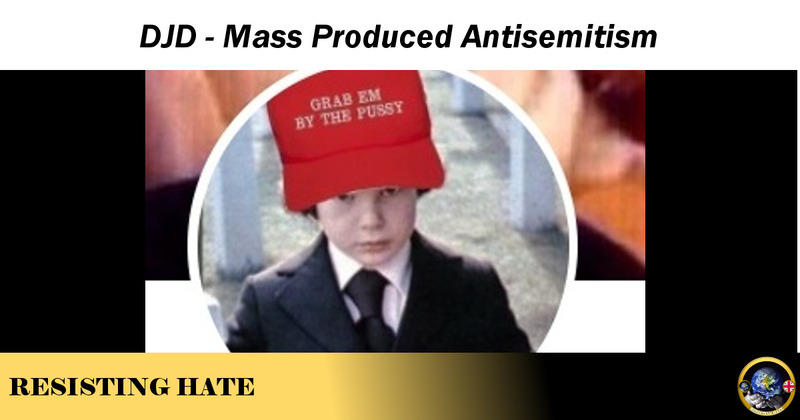 Hopefully, together we can shut this channel for antisemitic hatred down. Good work. I have reported a few of the alts today and will continue to do so as they appear. Dear Hippocrite, just give us a list of what to think, makes it all far easier. Or…is that fascist? In your case Goggins I think it would make sense to stick to a script, yes. When you attempt to think for yourself you very quickly descend into hate speech and prejudice. Oh, no mate, you’re just dim as The North.